Home Waters Guide Service can get you set up with guided trips on many of the beautiful rivers in and around Lane County, Oregon. Full Day trips last around 8 hours and Half Day trips last around 4 to 5 hours, light permitting. 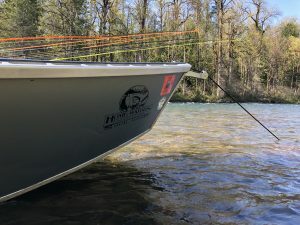 Whether it be for steelhead or trout, single-hand or spey, Home Waters Guide Service welcomes all skill levels for an opportunity to get out on the water.